Andrew Hickey joins founders Len and Fay Davis, Michelle Rutter, Charmaine Smith, and Debbie Mackay on the life members honour board. 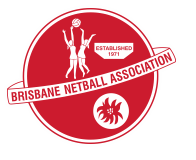 On behalf of all past and present club members we thank you, Andrew, for all the effort you have put into netball in north Brisbane for more than a decade. In particular we acknowledge your role in developing our club’s umpires and organising them on game days. Andrew started playing mixed netball in Canberra with his wife, Sue in 1988. He returned to Brisbane in 1990 and started playing mixed netball at BNA for many years. His daughters Kate and Laura played at BNA throughout the 2000s where Andrew volunteered his time to coach a bunch of junior teams. In a natural progression, Andrew commenced umpiring in 2005. He took on the Kedron Lions top job of Principal Umpire in 2007 and has been organising our club’s umpires all year round for the past 16 seasons. Andrew has attained his C Badge in umpiring and remains one of the most experienced umpires at BNA. You will normally see Andrew in a white shirt around the courts. Make sure you give him a nod and a wave when you see him.